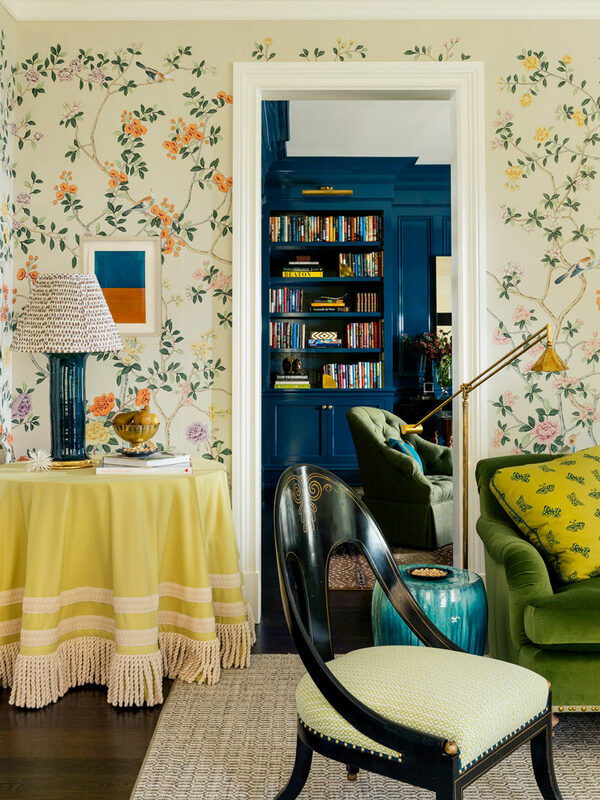 New York designer Ashley Whittaker may design rooms that feel marvelously eclectic and off-the-cuff, but look closer and you’ll find each one is an artful study in the classics. 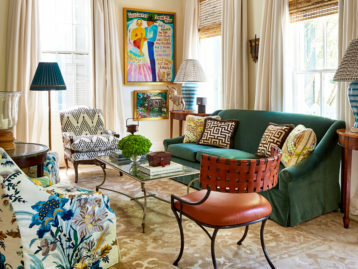 After working for the prestigious Markham Roberts, it’s no surprise that Ashley’s approach reflects both historical and neoteric influences and celebrates the unabashed mash-up of color and pattern. 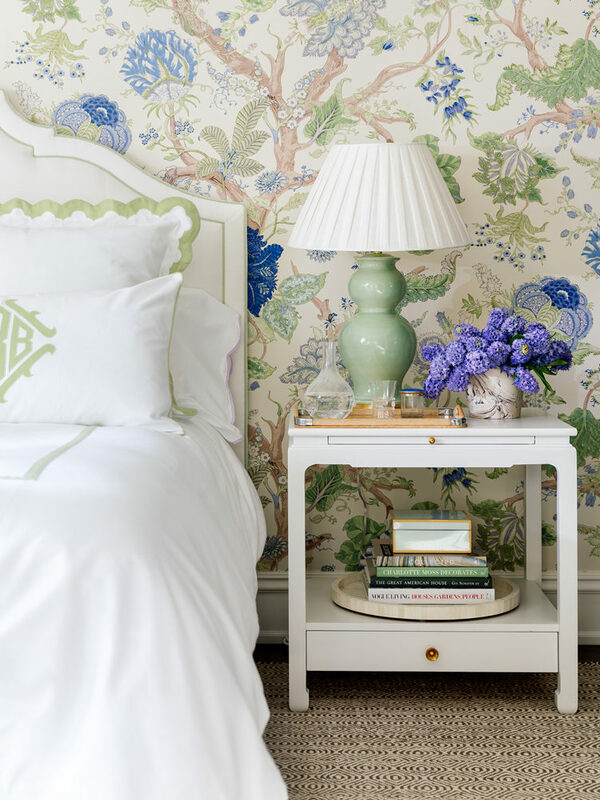 Following the establishment of her own firm, Ashley Whittaker Design, Ashley turned up the dial on all things floral and ladylike, resulting in blithe rooms that feel like literal embodiments of flowering garden atriums. 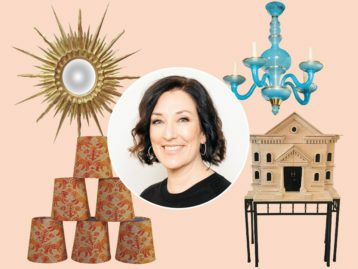 To go along with her collection of Chairish favorites, we asked Ashley to share some of her best design tricks, including the one element of a room she always begins a project with, and the old school (floral, of course!) pattern that she’s intent on bringing back into style. What do you love about shopping on Chairish? I love the variety that Chairish offers—it is the perfect mix of high and low. From French antiques to Mid-Century vintage, Chairish has every genre of home decor, not to mention the site’s contemporary offerings! We’ve found some wonderful pieces on Chairish, that after we have refurbished, have added a big punch to the overall design of our projects. It’s a valuable resource for completing a room. Is there any particular product category where Chairish is your go-to?Yes, definitely the dining chairs! There are great sets to choose from. Sets are always a big challenge, but Chairish has so many options! I love to pair a set of vintage chairs with a new table, or vice versa. 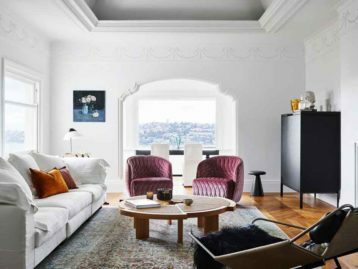 It’s really about mixing the old with the new, creating a feeling of polished comfort. 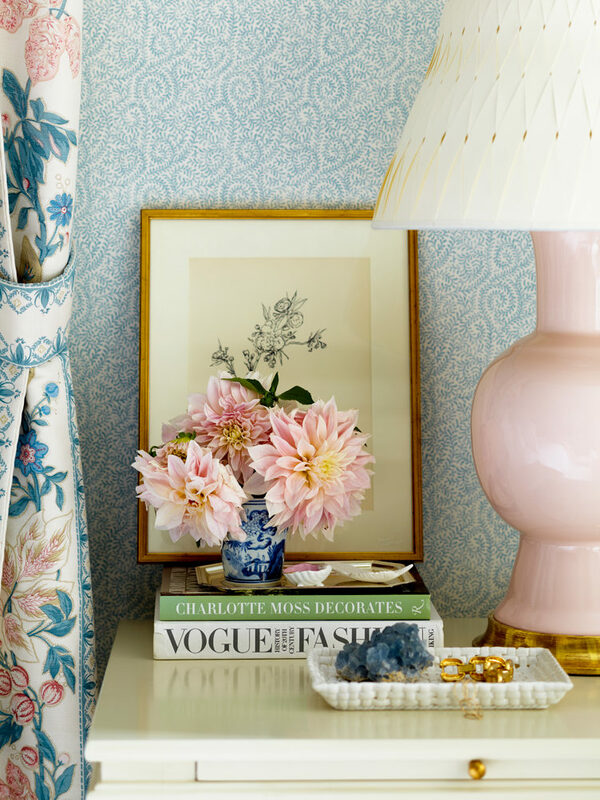 Vintage gives a decorated room a more useful appeal. We never design period rooms, but I love finding that one fabulous 18th century chair and covering it in a great colorful geometric fabric. 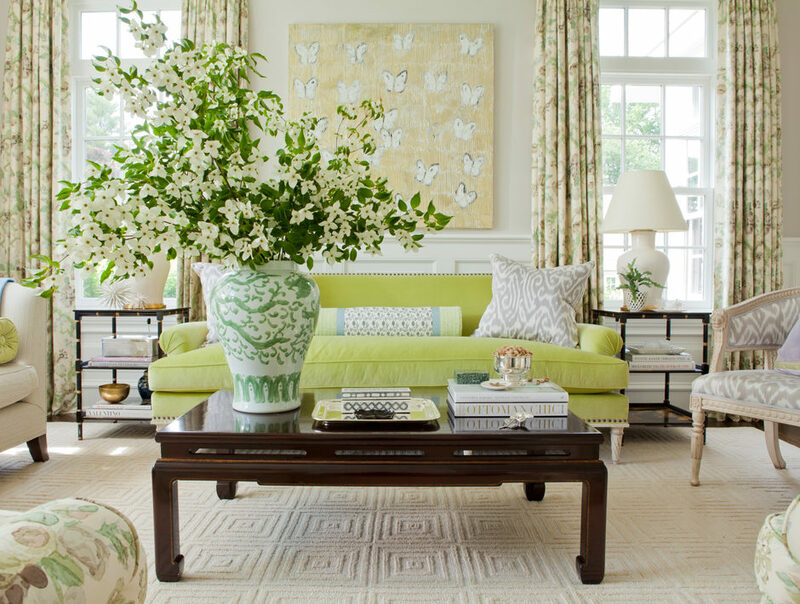 My approach is to mix useful fabrics with beautiful antiques – this is what makes the furniture or space feel fresh, appropriate, and up-to-date. Start with the walls! The old mantra was start with the rug, but I say start with the walls! Whether it’s a Prussian blue paint in a rich lacquer finish, or a hand-painted chinoiserie silk, creamy Venetian plaster, rich mahogany panels, or even a beautiful textured fabric applied to the walls in a bedroom, the walls set the mood. They make the room feel finished and decorated. Inspiration is literally everywhere nowadays! Go to a great new restaurant, and you can’t help but be inspired, or check into a hotel. There is a big inspiration-overload these days because of the access we have on our cellphones. We have to create our own visual filters. We have to edit what we take in – magazines, social media, restaurants, hotels. There is a lot of inspiration coming at us all the time, so it’s important to pick it apart. We’re all about camouflage green in my office these days; we’re treating it as a neutral. Camouflagey-green looks great with furniture, with art, with everything! It has enough grey in it that the color is not overpowering. 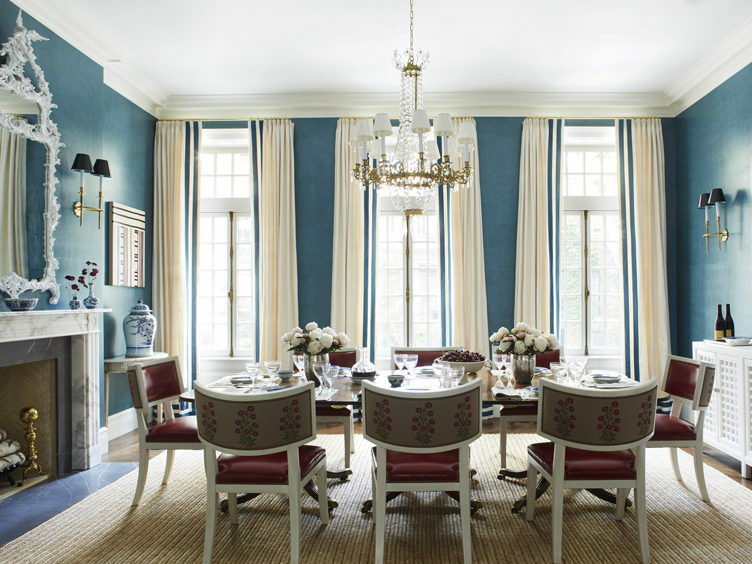 Benjamin Moore’s new Century Collection has the most-velvety finish – not flat and not shiny. We love the Serpentine (03) and Terre Verte (04) greens in that collection, but also BM’s tried-and-true Camouflage. 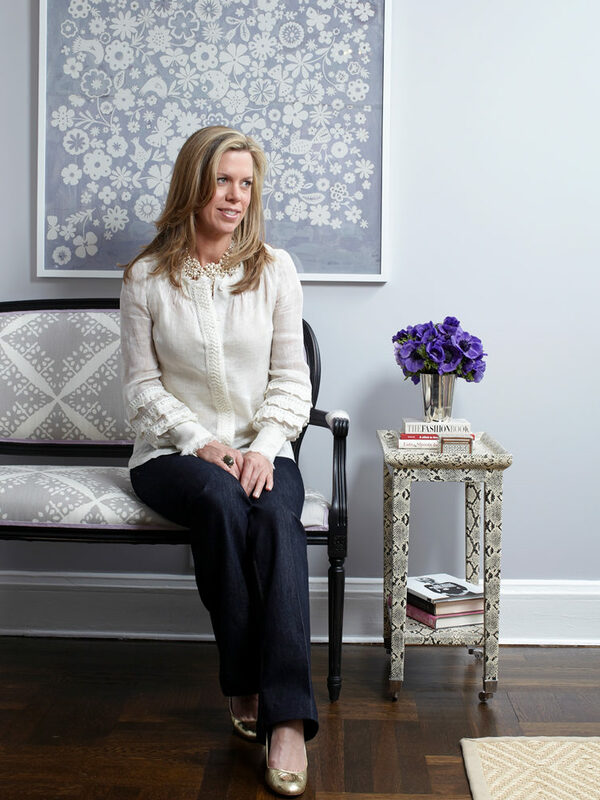 I’m also loving the new collection that Farrow & Ball debuted in London this past September. Their Bancha green in a high-gloss lacquer finish is perfection. Though neutral, the color offers a bit of uniqueness and quirk, while still being completely versatile and calming. Any Tree of Life pattern we love; it’s just a classic. Many fabric houses are recoloring their archival prints, and no pattern more successfully handles a bright new palette than the Tree of Life pattern. Of course, we love it in the original documentary colors, but also in fresh colorways. Whether in fabric or hand-printed or painted on a paper, we’re obsessed with the organic movement in the trees that draws your eye up-and-around a space, or a piece of furniture. When we pair colors or combine them, we’re always looking across the color wheel, whether it’s red with green or blue with orange. I like something unexpected and a bit quirky. We’re always looking for that contrast. Interior design is a client-facing business so, more often than not, we don’t sign on to carte-blanche projects. Being able to mix high and low is something you have to be able to do to decorate successfully and please your clients in this day and age. In our office, we find art is actually a great way to get a lot of bang for your buck. Maybe it’s mixing a dramatic Michael Eastman architectural photo in the same room with a set of affordable prints found on Chairish that you have reframed. Reframing a piece of art can completely change the way it’s perceived. A new frame is the perfect face-lift. Find a good framer and stick with them! Become best friends with your framer! 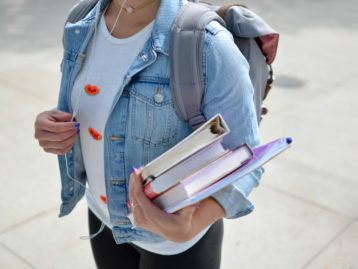 Can you share with us any big projects you’re working on in 2019? We’re working on a mid-century farmhouse in Millbrook that is going to be a lot of fun. The project is for a young family, which always begins with a different and more playful mindset. 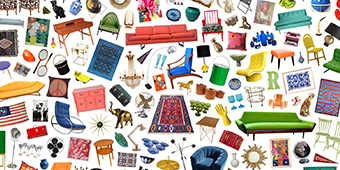 This is a project where we’re going to use a lot of Mid-Century pieces mixed with a lot of contemporary pieces. Chairish will be a great source of inspiration and sourcing. It’s not a serious house, so we’re keeping that in mind—lots of color, cheer and variety that we’re mixing with playful pieces. You’re from Florida and live in NY. Do you bring a certain Floridian sensibility to your New York projects or vice versa? I do think that perhaps there is a certain continuity of brightness and freshness in what I do that comes from growing up in a sunny climate. I think it is important to bring brightness and freshness into everything that we do. I spent quite a lot of time in Charleston last year. The houses in Charleston are spectacular, with perfect Georgian architecture in an amazing range of pastel colors. Perhaps it’s my Southern sensibility, but I found a great amount of inspiration there. I just love a set of monogrammed cocktail napkins. After spending time in my host’s home, I have a set of monogrammed cocktail napkins made in a custom color palette based on the décor in their home. I like to choose a quirky color combo that my host may not have chosen on their own. Something bold or special, something memorable. I love Agnes Barley, sold through Sears Peyton Gallery. 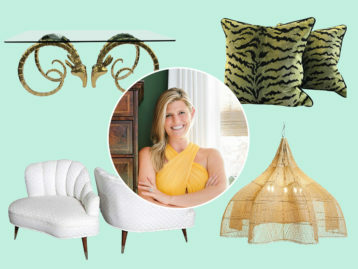 We’ve been using a lot of her elegant collages in our projects; they are so chic. The works are the perfect size and palette to not be too overwhelming in a space, but instead they add just enough. Several on a wall, I love. Chairs! I think I have a chair problem. In any given period, a chair is always the best example of that time – if I see a good chair, I can’t resist. Chairish has an example from every period for sale. There is a place in Millbrook, the town where I live, called Bottle Shop Antiques. They have the most wonderful, eclectic architectural salvage. A trip there is a fabulous little Saturday excursion, and I always come out with something great.